Melania Trump's gown for the 2017 inaugural ball, designed by Hervé Pierre. Learn how first ladies have shaped the role of first lady as the role of women in society evolved. 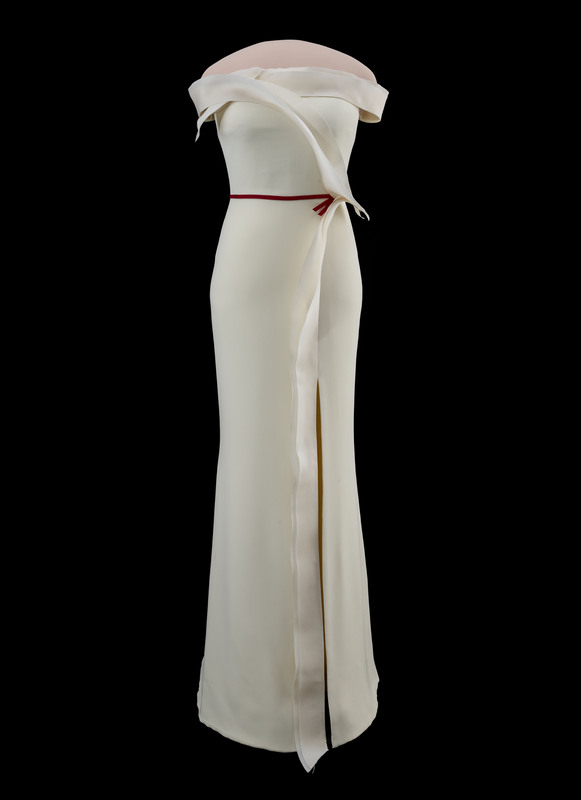 On view are more than two dozen gowns, including those worn by Melania Trump, Michelle Obama, Laura Bush, Barbara Bush, Nancy Reagan, and Jacqueline Kennedy. Four cases provide in-depth looks at Dolley Madison, Mary Todd Lincoln, Edith Roosevelt, and Lady Bird Johnson and their contributions to their husband’s presidential administrations.